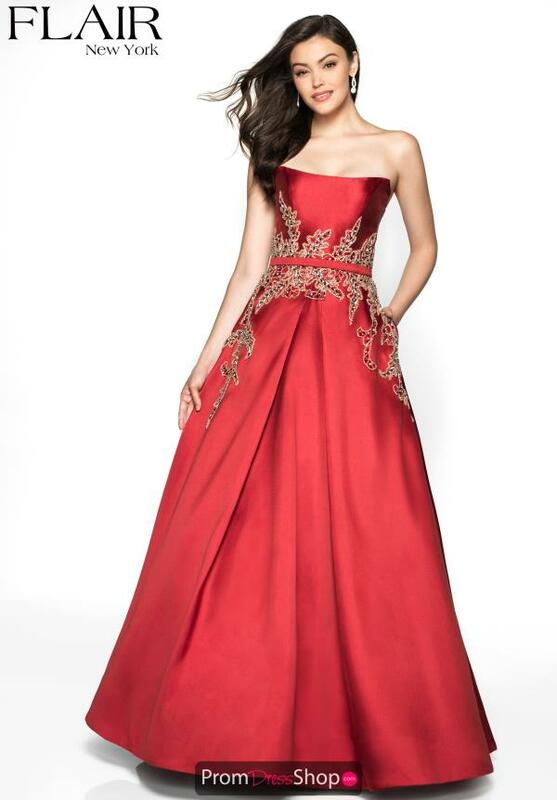 Make a royal entrance with this regal strapless dress 19208 that is embellished with contrasting bead work. The fitted bodice showcases a classic strapless neckline with a partially open back. The gown is made with a thick Mikado material for a flattering fit. The midriff area reveals a unique contrasting beaded design that scatters down the hips for the perfect amount of sparkle.